From the Netherlands comes Artitec, a new manufacturer of trains as well as extremely well-detailed structure, vehicle and accessory kits. 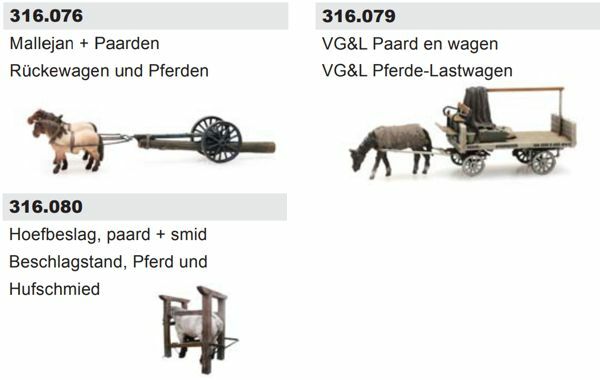 Artitec offers their coal wagon with horse, catalog number 316.051, and horse with plough, 316.068. The latter is billed as "ready made," so one must assume it includes the farmer. The rest appear in their new 2019 catalog. All photos from Artitec. Artitec has their own online shop; their products are also available from a variety of European vendors.